If you have a camel color coat, why not go all the way with a camel color fedora hat. The fedora hat has long been the hat to give the well dressed man the perfect finishing look. 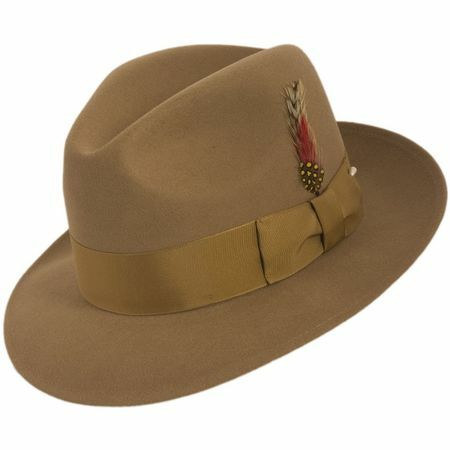 This camel beige color fedora has that untouchable style with the pinched design crown and smooth brim. Full satin lining and made of all wool felt.